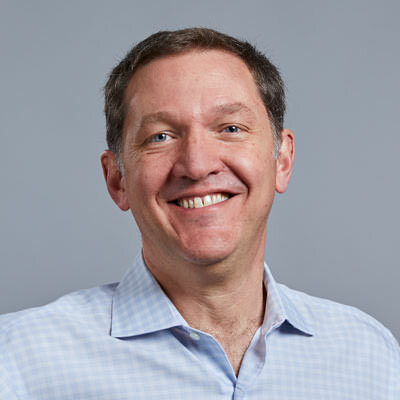 Jim Whitehurst is president and chief executive officer of Red Hat, the world’s leading provider of open source enterprise IT products and services. Whitehurst is an avid advocate for open software as a catalyst for business innovation. With a background in business development, finance, and global operations, Whitehurst has proven expertise in helping companies flourish—even in the most challenging economic and business environments. Since joining in January, 2008, he has more than doubled the company’s revenue. Under his leadership, Red Hat was named to Forbes’ list of “The World’s Most Innovative Companies” in 2015, 2014, and 2012. Dave Abrahams is the executive general manager of IAG’s Data Team, where he is responsible for data strategy and the company’s next-generation data platform. Since being appointed executive general manager in 2016, his focus has been on simplifying legacy data environments using big data principles and cloud services through agile, automation, DevOps, continuous delivery, and robust governance practices. Abrahams has held various roles at IAG as a software developer, manager of emerging technology, DevOps manager of claims and supply chain systems, and as director of data engineering. He has more than 20 years of experience working in the technology industry, including as an entrepreneur of a small software development company that built technology solutions for MBF, RMS, Asciano and IAG. John Allessio joined Red Hat as vice president of Global Services in September 2014. He is responsible for consulting, training, and business partner enablement services to help clients and business partners succeed with Red Hat products across the world. Adel Al-Saleh is the chief executive officer of T-Systems and is a member of Deutsche Telekom AG’s board of management. Before starting his career at T-Systems, Al-Saleh had a 19-year career at IBM, where he held a variety of senior leadership roles, including vice president and general manager of sales and industries as part of the company’s Integrated Operating team in northeast Europe. There, he was responsible for all IBM product sales across industries. Al-Saleh spent 4 years as president of North America, Europe, the Middle East, and Africa at IMS Health, and he also served as Northgate Information Solutions’ chief executive officer. He received a bachelor’s of science degree in electrical engineering from Boston University and a masters of business administration from Florida Atlantic University. Osmar Alza leads strategic projects as an advisor to the Dirección Nacional de Migraciones (National Immigration Office) national director. He and his team developed an integrated knowledgebase that retrieves data from all available national and international sources to reduce lead times and increase data analysis certainty. Alza and his team also developed SAM (the Spanish acronym for migration information analysis platform)—a self-learning big data tool that meets the agency’s data analytics department standards—and an advanced passenger information system that provides SAM with passenger information and records. Alza held many positions before coming to DNM in 2015. He was appointed Director of the Dirección de Sistemas de Información (Information Systems Department), a government facility under the Ministry of Economy of the Province of Buenos Aires. He worked for the Agencia Gubernamental de Control (Government Control Agency) of the City of Buenos Aires, where he helped automate operating, control, and authorization permits for stores, construction sites, and entertainment shows. Alza was a consultant to the Honorable Senate of the Province of Buenos Aires, the director-general of Planning at one of the most renowned lyric theaters in the world, a university professor, and author of Cambio 720, which presents short-term technological integration tactics that could change government agency operations to help serve citizens better. When Alza was 24 years old, he led an operational decentralization project at the Dirección de Escuelas y Cultura (Bureau of Schools and Culture) of the Province of Buenos Aires—under the Ministry of Education—where he created a microcomputer network for the entire province. He also developed the Sistema Bonaerense de Información Territorial (Territorial Information System) for the Province of Buenos Aires, which digitized more than 7 million land records. Alza has a bachelor’s degree in political science and has taken courses at the University of San Andrés, George Washington University, the Pontifical Catholic University of Buenos Aires, and Harvard Business Review. Mike Arterbury is the Global Vice President of Technology Alliances. In his current role he is responsible for creating customer value at the intersection of DellEMC Infrastructure Solutions and the offerings of the Company’s most strategic technology partners across product, sales and marketing. Mike has broad experience across sales, marketing, business development and M&A in the technology arena. His work has been principally focused on workloads, cloud, infrastructure and software over 25+ years in the industry. Marco Bill-Peter is the vice president of customer experience and engagement (CEE) at Red Hat, which includes the company's global support services organization and is responsible for increasing the value customers and partners receive from their relationship with Red Hat. In addition to technical support delivery and strategic customer engagement, Bill-Peter's department is also responsible for the award-winning Red Hat Customer Portal, product certifications, product security, product documentation, and translation services. Bill-Peter has helped expand Red Hat’s support offerings—from reactive interactions to high-value, proactive, and collaborative customer engagements. His vision continues to go beyond the standard industry definition of support to include a strategic focus on innovation that better serves customers and delivers greater value. Raj Channa is a senior director and head of cloud, DevOps, and distributed engineering at the Royal Bank of Canada, where he is responsible for engineering operating system, virtualization, container, cloud, database, and storage solutions. Channa boasts more than 20 years of experience in capital markets and the banking industry, 15 of which were spent at Credit Suisse and more than 2 of which were spent as a member of the Lehman Brothers. Colonel Mark 'Chopsey' Cornell is the assistant head of operations for the British Army’s Information Application Services (IAS) team. He has served the British Army for more than 27 years and was a Royal Signals Officer. Most recently, he was involved in the Land Environment Tactical Communications program, where he was a capability manager in the Ministry of Defence, responsible for the £5.2 billion communications portfolio that supported deployed UK troops, and a senior requirements manager with the Battlefield and Tactical Communications and Information Systems (BATCIS) delivery team responsible for developing user and system requirements for the MORPHEUS capability. Col Cornell received an undergraduate degree in electrical and electronic engineering, a master of science in design on information systems, and attended the advanced command and staff course for senior UK leaders from 2003-2004. He has operational experience in Bosnia, Kosovo, Afghanistan, and the broader Middle East, as well as a tours as the chief of staff and chief operations in the permanent joint headquarters communications branch. Nick Costides is global vice president of information technology at UPS, where he is responsible for UPS’s worldwide operations and automation technologies portfolio. Costides leads UPS’s Office of the CIO and Technology Strategy Group, co-chairs the company’s Emerging Technology Advisory Committee, and is a member of UPS’ Information Technology Governance Committee. Previously, Costides was the UPS Transportation Technology Group vice president, where he was responsible for the technology behind the company’s airline, transportation network, and customs brokerage, as well as Worldport—the company’s largest air facility. He was responsible for customer solutions as vice president of UPS Customer Technology Group, which holds several patents that support UPS’s intellectual property. Costides was named a Computerworld Premiere 100 IT Leader in 2014 and help the top ranking of InformationWeek’s Elite 100 in 2015. In addition to his corporate responsibilities, Costides is on ToolBank USA’s advisory council, where he previously served as board president and advisory board chair; Hands on Atlanta’s advisory board, where he previously served as the board of directors chair; the Association of Technology Professionals’ executive advisory board; Points of Light’s board of directors; the University of Louisville J.B. Speed School of Engineering’s industrial board of advisors; and is a technology advisor to United Way Worldwide. Michael Elder is the IBM distinguished engineer for the IBM Cloud Private Platform. He owns a number of patents and is the recipient of 2 IBM Outstanding Technical Achievement awards. Elder received a bachelor’s of science degree in computer science from Furman University and a master’s of science degree in computer science from the University of North Carolina-Chapel Hill. Dietmar was appointed a vice president by Amadeus in 2013 to create and lead the transversal architecture, quality, and governance (AQG) group. His main mission is to support transversal activities across research and development (R&D). AQG ensures operational stability and technical evolutions over the long term by supporting R&D organizations on global development architecture, infrastructure, quality engineering, and project management. Fauser previously was director of core middleware and development support in 2009, when his main responsibilities included developing service-oriented infrastructure that enables central applications to deliver business transactions on open and mainframe systems. Fauser joined Amadeus in 1998 as a senior software engineer in the Unix middleware department and was appointed unit manager within the CARS 2000 project in 1999. Fauser has an engineering degree in IT from the University of Applied Science in Darmstadt, Germany—finishing his final year at University XI in Paris. Though German is his first language, Fauser is also fluent in English and French. Chief technology officer, Global Strategy and Planning and the Americas, Citigroup Inc.
Motti Finkelstein is the chief technology officer for the Americas and the global head of Strategy and Planning for Citi Architecture and Technology Engineering (CATE), where he improves business capabilities by developing a cohesive, secure, reliable, scalable, flexible, cost-efficient solution architecture and approaches across CitiUser, CitiData, CitiCloud, CitiApp, CitiServer, CitiStorage, CitiNetwork and CitiSecure. He leads Infrastructure-as-a-Service and Platform-as-a-Service cloud strategy and architecture, and the group responsible for corporate infrastructure development, such as ServiceNow, CMDB, and Citi Marketplace. Finkelstein acts as a liaison with Citi’s global innovation and infrastructure labs and vendors, and he implements key initiatives across infrastructure engineering. Finkelstein helped create a culture of innovation and agility in the areas of cloud, big data, software-defined datacenters, robotics process automation, and user experience by continuously integrating new technologies. He is responsible for global standard implementation in local America regions and is chairman of the CATE CTO council. Finkelstein previously led Citi’s Platforms and Storage Engineering, Applications Services, Architecture, Capacity Planning, and Regional Engineering groups, as well as Global Engineering and Architecture for Databases for CATE. Prior to his career at Citi, Finkelstein was the chief information officer at Versaware, a director in the City of New York’s Department of Technology and Telecommunications, and responsible for the Israeli Air Force’s technology infrastructure. Finkelstein holds a bachelor’s of technology degree in applied sciences and computer software engineering, as well as a master’s in business administration with a focus in international business from Baruch College’s Zicklin School of Business. Douglas (Doug) W. Fisher is senior vice president and general manager of the Software and Services Group (SSG) for Intel Corporation. He has overall responsibility for software and software development at Intel worldwide, with the goal of enhancing computing and connectivity for Intel® architecture across the software ecosystem and providing end-to-end value from the device edge to the data center. With resources spanning more than 20 countries, business relationships with over 7,000 independent software vendors and a robust developer program that reaches nearly 20 million software, entrepreneurial, enthusiast and hobbyist developers, Intel Software fuels worldwide innovation to help developers take advantage of the latest computing and communications technologies. Fisher is currently chairman of the board of the Linux Foundation, sits on the Board of Directors of BlueData, is a member of the internal board for Wind River Systems (a wholly owned subsidiary of Intel), and is a member of the Oregon State University Dean’s Leadership Council in the College of Engineering. Previously Fisher served as corporate vice president and general manager of the System Software Division, and prior to that, was the director of worldwide engineering for Intel Online Services where, based in Europe, he established the International Engineering organization. Prior to joining Intel, Fisher worked at Hewlett-Packard for 10 years where he began as a software developer. He began his career at age 17 when he enlisted in the U.S. Navy, where he spent five years. 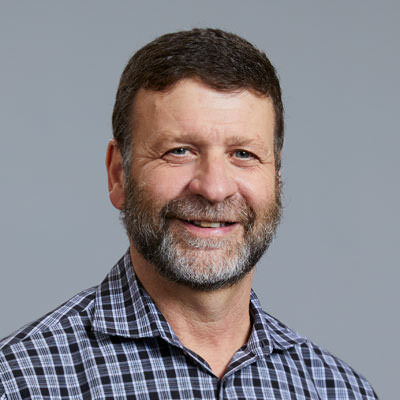 Fisher holds a bachelor’s degree in electrical engineering from Oregon State University and a master’s degree in management from Stanford University. Dr. P. Ellen Grant is the first incumbent neonatology chair of the Boston Children’s Hospital, holds appointments in the Departments of Medicine and Radiology, and is a professor of Pediatrics and Radiology at the Harvard Medical School. She was the founding director of the Boston Children’s Hospital’s Fetal-Neonatal Neuroimaging and Developmental Science Center (FNNDSC) in 2009 and headed the Division of Pediatric Radiology at Massachusetts General Hospital for 5 years. Dr. Grant co-authored 2 clinical neuroradiology textbooks, participated in award-winning research, is the principal investigator on 5 active National Institute of Health grants, has authored more than 170 papers. she holds a master’s of science degree in physics and received distinction as a Doctor of Medicine from the University of Toronto. She performed her radiology residency at Vancouver General Hospital in British Columbia, Canada, and her fellowship in adult and pediatric neuroradiology at the University of California, San Francisco. Scott Guthrie is the executive vice president of Microsoft’s Cloud and Enterprise Group, where he is responsible for the company’s cloud infrastructure, server, database, CRM, ERP, management, and development tool businesses. Guthrie’s engineering team works on Microsoft Azure, SQL Server, Microsoft Dynamics 365, Active Directory, System Center, Visual Studio and .NET. Prior to leading the Cloud and Enterprise Group, Guthrie helped lead Microsoft Azure, Microsoft’s public cloud platform. Guthrie joined Microsoft in 1997, was one of the original founders of the .NET project, and has been involved with many of Microsoft’s cloud, server, and development technologies. He received a bachelor’s degree in computer science from Duke University and now lives in Seattle. Matt Hicks is the senior vice president of Engineering at Red Hat. In this role, he is responsible for all product engineering at Red Hat, including products such as Red Hat Enterprise Linux, the JBoss Middleware portfolio, Red Hat OpenStack Platform, Red Hat OpenShift Platform, and Red Hat Ansible Automation. His role also includes Red Hat’s hosted services as well such as Red Hat OpenShift Online, Red Hat OpenShift.io, and Red Hat OpenShift Dedicated, which serve millions of applications and billions of requests a day. Joining Red Hat in 2005, Hicks has experienced its growth from a single product company to the multi-billion dollar enterprise it is today. He was also one of the founding members of the OpenShift team and has been on the forefront of cloud computing ever since. With more than 20 years of experience in Linux and a background in computer engineering, Hicks has always had a passion for combining infrastructure and application technologies. His engineering background before Red Hat includes several years at IBM as well as startup experience but he has also served in a variety of roles in IT and consulting. That breadth of experience enables Hicks to help guide technology to solve customer and business problems across all areas of IT. With technology innovation converging on open source, Linux and containers, his experience has placed Hicks at the center at what he believes is the most exciting time in the technology industry’s history. Ritch Houdek, Senior Vice President of Technology oversees Kohl’s Infrastructure, Operations, Enterprise Architecture, DevOps, and Cloud Platform Automation. Houdek further serves as executive sponsor of Kohl’s enterprise-wide commitment to cloud computing, a multi-year investment to migrate the company’s systems and applications to the cloud. Houdek has held a number of progressive positions during his time at Kohl’s. He joined Kohl’s in 2010 as a director of technology and was promoted to vice president of technology in 2011. Prior to joining Kohl’s, Houdek served in various technology leadership positions at Wells Fargo Bank and GE Healthcare. Mr. Houdek holds a Master of Science degree in Computer Science from the University of Wisconsin – Milwaukee and a Bachelor of Science degree from Brigham Young University. Furqan Huda is the senior director of Enterprise DevOps at Hilton, where his team is responsible for setting up and running DevOps functions, delivering the foundation for continuous integration processes, collaborating with development teams to enable continuous delivery, and providing the necessary automation to deliver these capabilities. Huda’s team has helped Hilton deliver digital key capabilities, transition to a microservices and application-programming interface-based architecture, and streamline delivery capabilities. Huda has held multiple roles throughout his 15 year career at Hilton in application development, architecture, and DevOps. He has a bachelor’s degree in computer science engineering and a master’s degree in business administration. Erica Kochi co-founded and co-leads UNICEF’s Innovation unit, a global group tasked with identifying, prototyping, and scaling technologies that improve children's lives around the world. Kochi also serves as innovation advisor to UNICEF’s executive director. She was one of the TIME 100 “World’s Most Influential People” in 2013. As Chief Decision Scientist at Google, Cassie advises leadership teams on decision process, AI strategy, and building data-driven organizations. She works to democratize statistical thinking and machine learning so that everyone - Google, its customers, the world! - can harness the beauty and power of data. She is the force behind bringing the practice of Decision Intelligence to Google and she has personally trained more than 15,000 Googlers in machine learning, statistics, and data-driven decision-making. Before her current role, she served in Google's Office of the CTO as Chief Data Scientist. Prior to joining Google, Cassie worked as a data scientist and consultant. She holds degrees in mathematical statistics, economics, psychology, and cognitive neuroscience. When she’s not working, you’re most likely to find Cassie at the theater, in an art museum, exploring the world, or curled up with a good novel. Arvind Krishna is senior vice president of hybrid cloud and director of IBM Research, where he leads the company’s hybrid cloud business strategy, product design, offering development, marketing, sales, and service. He also helps guide IBM’s overall technical strategy in core and emerging technologies such as cognitive computing, quantum computing, cloud platform services, data-driven solutions, and blockchain. Previously, Krishna was general manager of IBM Systems and Technology Group’s development and manufacturing organization, responsible for developing and engineering everything from advanced semiconductor materials to leading-edge microprocessors, servers, and storage systems. Earlier in his career, he was general manager of IBM Information Management, which included database, information integration, and big data software solutions. Krishna was also vice president of strategy for IBM Software and has held several key technical roles in IBM Software and IBM Research where he pioneered IBM’s security software business. Krishna has an undergraduate degree from the Indian Institute of Technology, Kanpur and received his Ph.D. from the University of Illinois at Urbana-Champaign. He is the recipient of a distinguished alumni award from the University of Illinois, is the co-author of 15 patents, has been the editor of IEEE and ACM journals, and has published extensively in technical conferences and journals. Tobias Mohr is the head of Technology and Infrastructure at Lufthansa Technik, where he is responsible for the overall technology stack of the company’s newly founded product division—Digital Fleet Services—and its AVIATAR platform. Mohr’s goals are to build an open and modular architecture based on open source and cloud technologies that enable DevOps cultures. Before being named head of Technology and Infrastructure, Mohr was head of IT Strategy & Governance, where he was responsible for IT strategy, enterprise architecture management, agile software development, and IT security. He joined Lufthansa Technik in 2000 as an IT project manager before becoming team lead for IT projects and applications as part of the company’s aircraft base maintenance services. Mohr received degrees in business administration and computer science from the University of Applied Sciences Nordakademie in Elmshorn, Germany. Chris Morgan is the global technical director for the OpenShift Partner Ecosystem, where he is responsible for the technical strategy and enablement across all partner types with OpenShift. He has more than 20 years of experience in various areas of cloud and application technologies with the last decade of that experience with Red Hat. Prior to Red Hat, Chris spent a large portion of his early career at IBM, where he worked on cross-brand initiatives to bring the various IBM software products together as cohesive solutions. His experience has spanned many roles allowing him to research and work on ideas and solutions to address next-generation markets. Chris holds bachelor’s and master’s degrees in computer engineering as well as a master’s in business administration. Kerry Peirse is general manager of Infrastructure and Operations at Cathay Pacific Airways Limited, where she helps lead the IT team responsible for the service desk, infrastructure engineering, infrastructure enterprise architecture, operations management, and infrastructure upgrade work. As part of her more than 20-year career in the IT industry, Peirse previously managed Cathay Pacific Airways Limited's governance, reporting, and process requirements for project delivery in the enterprise program management office. José María is the global head of infrastructure for the Service & Open Systems group at BBVA, where he designs and implements cloud infrastructure solutions to deploy scale-out architectures based on commodity hardware and open source code. Maria has more than 25 years of experience in technology management and transformation projects in the financial market, including experience managing global teams. Lieutenant Colonel Dorian Seabrook is head of operations for the British Army’s Information Application Services (IAS) team. He is a Certified Information System Security Professional (CISSP) and is responsible for live services across 3 security domains and 200 services. Lt Col Seabrook was commissioned into the Royal Engineers in 1997 and has served in a wide range of Army and Joint units, with operational experience in Iraq, Afghanistan, and Northern Ireland. His initial assignment as Major was in the Battlefield and Tactical Communications and Information Systems (BATCIS) team, delivering Bowman land tactical command information system (CIS) and applications. Subsequent postings include G6 projects within Army Headquarters delivering applications and hosting environments, and in Joint Forces Command as a joint user for networks for the Command, Control, Communications, Computers, Intelligence, Surveillance, and Reconnaissance (C4ISR), devising policy for the use of defence information security. He is currently leading an agile transformation to a new DevOps operating model across people, technologies, and processes. Parvesh Sethi is a senior vice president and general manager for Global Client Services at HPE Pointnext, a leader in infrastructure optimization, partner ecosystems, the IT lifecycle, and digital innovation. Sethi’s team multidiscipline team of IT experts and consultants, advises and provides professional and operational services that help companies digitally transform through hybrid IT and intelligent edge solutions. He has been with HPE since 2017. Sethi has lead complex, global organizations for more than 25 years—helping enterprises transform their IT portfolios and expand into the IoT, collaboration, cloud, mobility, security, and managed/hosted services markets. He came to HPE from Mirantis, where he was president of services. Sethi spent 15 years leading Cisco’s multibillion dollar professional services business and 12 years at Ericsson in various senior services roles. He received a bachelor’s of science degree in petroleum engineering from Texas A&M University, a bachelor’s of science in electrical engineering from the University of Texas at Arlington, and a master’s in business administration degree from the University of Dallas. Kim Stevenson is Lenovo's senior vice president and general manager for Data Center Infrastructure. She is responsible for product management, business, product marketing, and for building end-to-end teams that align product development, quality, supply chain, services, and the customer experience. Prior to joining Lenovo, Stevenson spent 8 years at Intel as chief operating officer for the Client, IoT, and System Architecture group after serving as Intel's chief information officer. Stevenson has been named Silicon Valley Business Journal's Best CIO, Huffington Post's Most Social CIO, and a Woman of Excellence Digital Trailblazer by the National Association of Female Executives. She is an Evanta Top-10 Breakaway Leader and has been 1 of CIO.com’s top-100 CIOs for 4 consecutive years. Stevenson received her bachelor's degree from Northeastern University and a master's degree in business administration from Cornell University. Mike Wittig joined Nike, Inc. in June 2013 as Global Head of Retail Infrastructure and has had responsibility for both Retail & Digital Infrastructure since April 2014. He currently serves as the Vice President, Infrastructure Engineering in Technology Operations. He grew up in Milwaukee, WI and attended the University of Wisconsin-Madison before moving to San Francisco to ride the .com wave in the 90s. He worked in Finance in both New York and London for more than 10 years before moving to Portland.